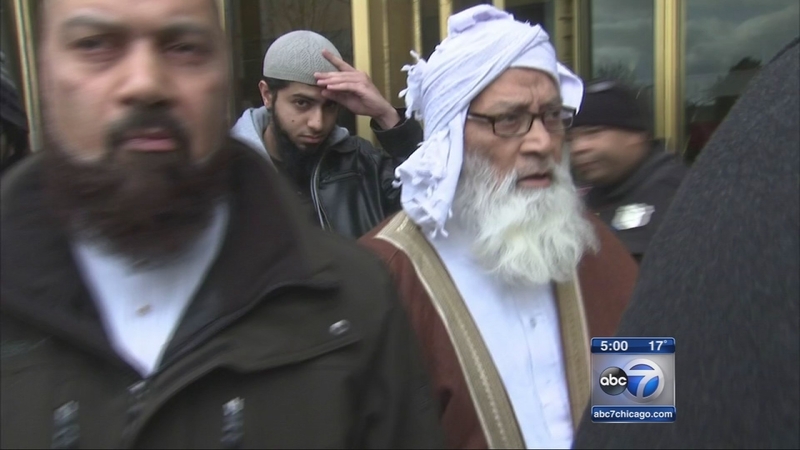 ELGIN, Ill. (WLS) -- The founder of a suburban Islamic school is accused of abusing a former student. Abdullah Saleem, 76, is charged with aggravated criminal sexual abuse. He is accused of inappropriately touching the victim in his office at Institute of Islamic Education in Elgin, Ill., on dozens of occasions from 2001 to 2003. The girl was 14 when the alleged abuse began, prosecutors said. Police said they were notified of the abuse in 2014. He was held on a $1 million bond. Salem is also accused of sexually assaulting and battering a female employee at the school, which has grades 6 to 12. He pleaded not guilty in that case.